Garrett Oliver on the cover of BeerAdvocate's August issue. Sorry for the delay, but I've been waiting for the pictures and video clips from Chris... Well, minus a couple he sent me, I'm still waiting... My wife accidentally broke my camera a few weeks ago, so I had to borrow his. And then wait for him to mail me a CD. We're so old school, who uses mail? I'll update this post later with more images. New York has always been and will probably always be my favorite city. It's huge and within it's vast boundaries there's so much to take in, including beer. So, after sharing a few bottles of my latest home brewed beer, I made the trek out to the Big Apple with some old friends (Chris and Kenn) this past Saturday. Our mission was to scout out the city and find some great places to enjoy great beer. In retrospect, I should have cut my New York City Beer Tour in two. I think Brooklyn could stand on it's two feet as a great place to enjoy great beer. Not to mention Brooklyn is home to two breweries, Brooklyn Brewery and Greenpoint Beer Works. Unfortunately, we didn't get the chance to visit the later. I made several attempts to contact the folks at Greenpoint Beer Works, but they never got back to me. If you're reading this, please shoot me an email or leave a comment. 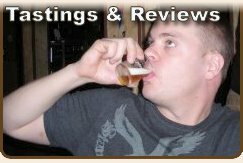 I would love to tour your brewery! As we located the Brooklyn Brewery with the help of my trusty GPS, we took this opportunity to ditch our car. Actually it was Chris' car. At least one of us was brave enough to leave his ride unattended in Brooklyn for most of the day and night. Thanks Chris. The rest of our day would consist of walking, subways, more walking and some beer, crappy weather be damned! Brooklyn Brewery was a good time, and the perfect place for us to start our adventure on that rainy morning. 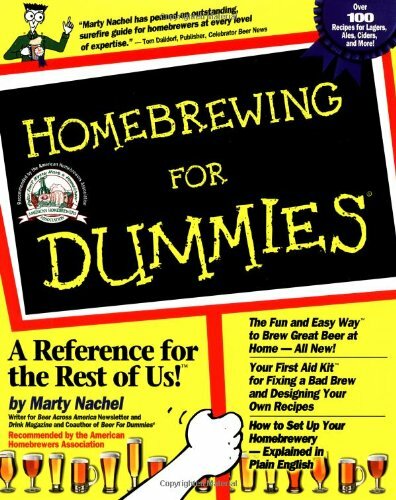 I was amused to find that I have something uniquely in common with Steve Hindy, one of the two founders of the brewery. He and I have both spent our fair share of time in the Middle East, and know the woes that come with spending time in a culture where beer is taboo. I was chatting with my companions in the car on the way to New York, explaining how my blog has had a number of hits from Iran, Iraq and many of the other neighboring Middle Eastern nations. I speculated that these hits were from oppressed locals or thirsty American and British contractors, searching the web for home brewing how-to's. After hearing the history and back story of Brooklyn Brewery, I think I may be right. Check out this exert from their brief history. In 1984, Associated Press correspondent Steve Hindy returned from a six-year stint in the Middle East and settled in Brooklyn’s Park Slope neighborhood. 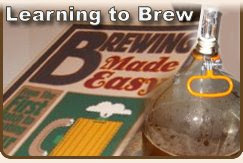 Hindy had caught the homebrewing bug from diplomats stationed in Islamic countries like Saudi Arabia and Kuwait where alcoholic beverages were forbidden. With his downstairs neighbor, Tom Potter, a former lending officer at Chemical Bank, Hindy quit his job and founded The Brooklyn Brewery. Their initial goal was to bring good beer back to New York City. The tour was a brief walk and talk session that went over the companies history, and the basics of how the brewing process works followed by some Q&A. 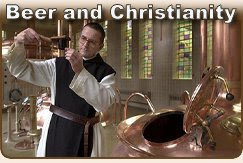 They invite you to grab a cup of beer from the tasting room and enjoy their product throughout the tour. We were happy to oblige them. Take note: The beer is not free, but if you purchase "beer tokens" in bulk (7 tokens for $20 = $2.86 a beer, unless you opt for a glass of the Local 1) you can get a fair share of quality beer for a fair price. After the tour was complete, we headed over to the tasting room for more beer. Me (up top) and Kenn, looking lame in the brewery. Sadly Mr. Wonka did not give me the brewery at the end of the tour. The tasting room is nothing to write home about, with the exception of the fine variety of Brooklyn beers they have on tap and the friendly people enjoying them there. They had approximately 8 different beers on tap and some special beers on bottle, including the Local 1. The Local 1 cost 3 tokens, but you got a special gold rimmed glass to drink it from and take home. The beer was pretty damn good too, a trip to the brewery would not be complete without sampling this treat. Me (on left), Chris (middle) and Kenn (right) after a few samples... Man I'm a tired looking sack! According to BeerAdvocate Local 1 is a Saison/Farmhouse Ale. This is a very complex style, many are very fruit in the aroma and flavor. Look for earthy yeast tones, mild to moderate tartness. Lot of spice and with a medium bitterness. They tend to be semi-dry with many only having touch of sweetness.